Make a easy $2 Donation today! 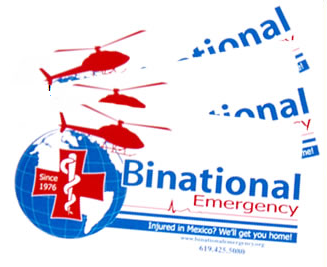 Did you know that for over thirty years, Binational Emergency, a non profit organization, has helped evacuate thousands of U.S. citizens who are injured while traveling into Mexico? Celia Diaz, the Executive Director, is personally involved with the transport of the injured due to accident or illness. She often spends countless hours in the middle of the night coordinating the transport of critically injured Americans. Her number one priority is to save a life, regardless if the patient has the ability to pay. This great humanitarian effort has helped save countless lives over the years. But the BEMCC (Binational Emergency Medical Care Committee) does so much more than that! During the cold weather seasons, BEMCC collects thousands of food, blankets, toys, and clothing for indigent children on both sides of the U.S./Mexico border area. When a sick or injured relative is in a U.S. hospital for treatment, the BEMCC arranges for temporary border crossing permits so family can visit their loved ones. During special events such as the Rosarito to Ensenada bike ride, the Baja 500, the Baja 1000, any special holidays such as Labor Day, 4th of July weekend, Memorial Day, etc, the BEMCC is on high alert and prepares for the evacuation of any U.S. citizen who is critically injured regardless if they are a member of the BEMCC. During any natural disaster such as Earthquakes, Floods, Hurricanes, etc, the BEMCC has initiated special funds for the victims. During the recent wild fires, the BEMCC began a special fund for the families who lost loved ones. BEMCC also arranged for medical care for surviving victims. Though the BEMCC has established a membership program, it is now time for us to ask for your help! We rely on donations, grants, and special funding to continue our life saving efforts. Please help us to help you by asking groups, organizations, friends, and family to purchase a membership or by donating to our cause. With your help we can continue our life-saving efforts. 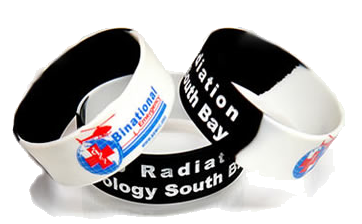 Your donation and membership is tax deductible. Thank you and God Bless. Call us today at (619)425-5080 to process your tax deductible donation.